Celebrating Christmas has become a tradition at our institution, a joyful and festive day eagerly awaited by all the employees and their families. For adults, it is a time to relax and to enjoy some free time among their friends and colleagues, while for children it is a hunt for gifts and awards, a fair for games and an opportunity to make new friends. 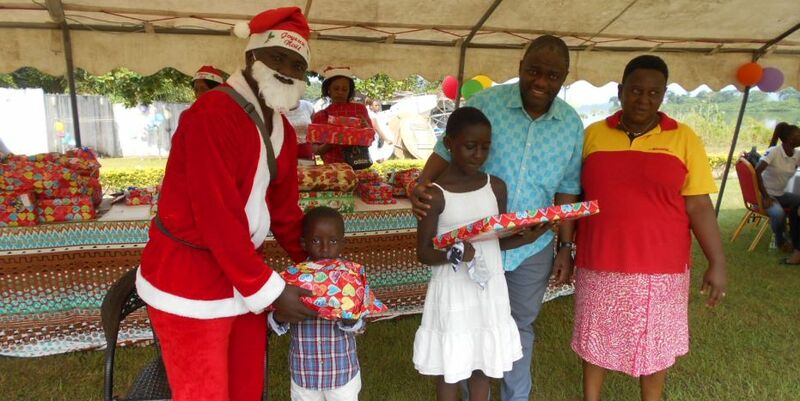 In keeping with the tradition, the third edition of the Christmas festivities was held on 24 December 2018 at the premises of a hotel in Lambaréné. There were games, dances and food. The highlight of the celebration was the appearance of Santa Claus, who, once again this year, brought his bag full of gifts to fulfil everyone ’s wishes, thus making this day wonderful and full of emotion. The celebrations were also an opportunity for CERMEL's board to express its gratitude to the staff for the commitment and quality of work demonstrated throughout the year.